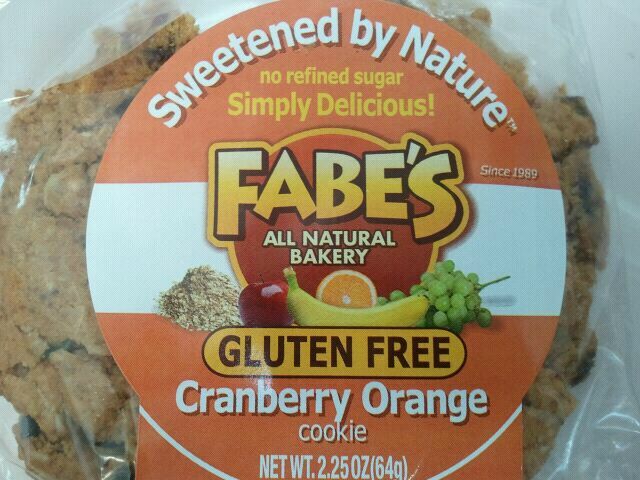 Along with the delicious Peanut Butter Chocolate Chip cookie I was sent for free from Fabe’s, they also sent me some others, including the Sweetened by Nature Gluten Free Cranberry Orange Cookie. 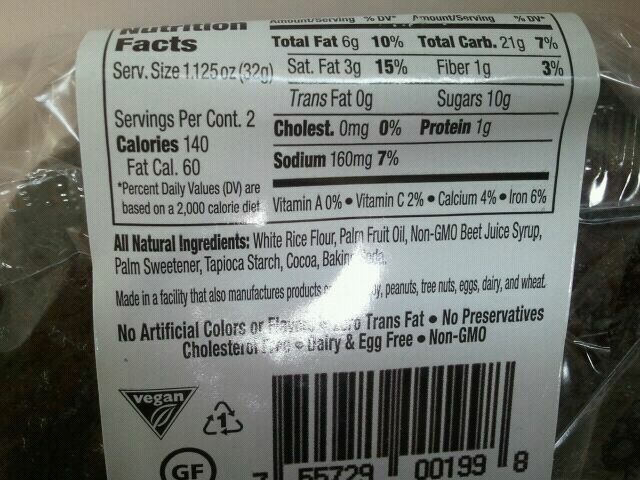 According to the wrapper, this cookie is also vegan, egg free, dairy free, all natural, and has no refined sugar. I’m always a bit skeptical when something says it’s free of a lot of ingredients, as are some of my friends who I have heard comment to me in the past. 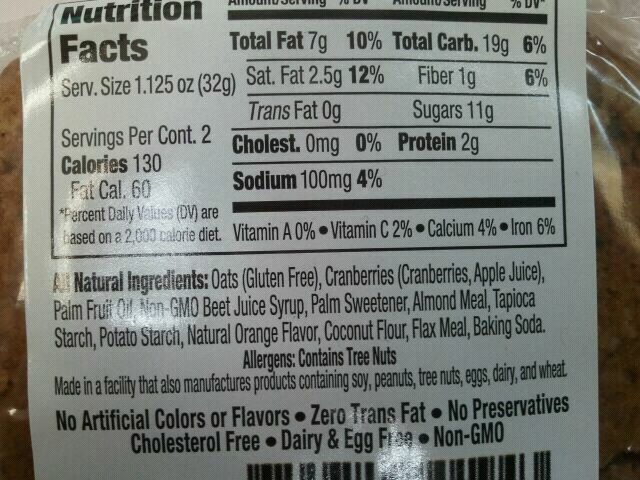 Well, if it has no refined sugar, no eggs, no dairy, no gluten…what’s it made of? And HOW could it possibly taste good? Well. I don’t know….doesn’t this look delicious? 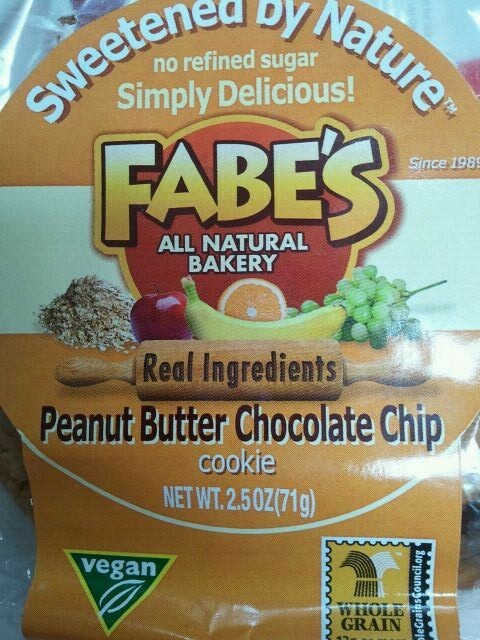 Well – no worries here, Fabe’s has you covered. This particular cookie was actually quite delicious. The first thing I noticed is that it was VERY crumbly. It literally started to fall apart as I opened the wrapper, but I liked how it was a bigger cookie. 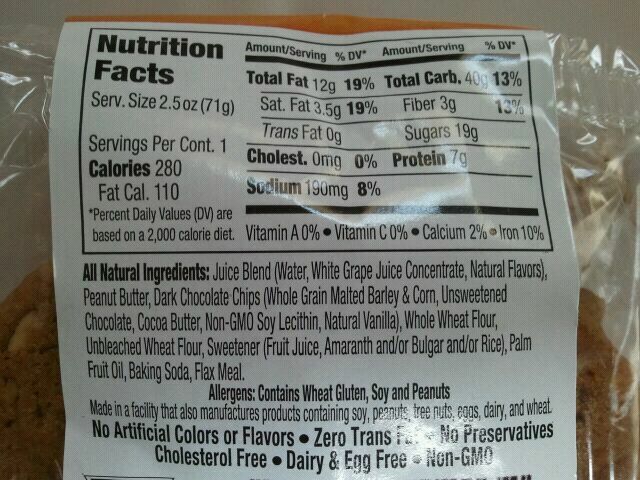 However, there are 2 servings (read 1 serving if you’re me) in this cookie. There were are a good amount of cranberries, which were chewy and sweet, and slightly tart. The cookie had a melt in your mouth consistency, and had a different texture than any cookie I ever had. It was almost like a crumb cake in texture. It was VERY sweet, but delicious, with a predominant orange zest flavor, and a coconut flavor as well! 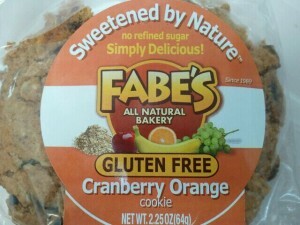 Overall, Fabe’s has proved that even without eggs, dairy, gluten or refined sugar, yummy cookies can be made. If I hadn’t eaten the whole cookie myself (ooooops….) I would bring it over to my skeptical friends to prove them wrong. This cookie gets 4 stars, because I wish it was a tad less crumbly. 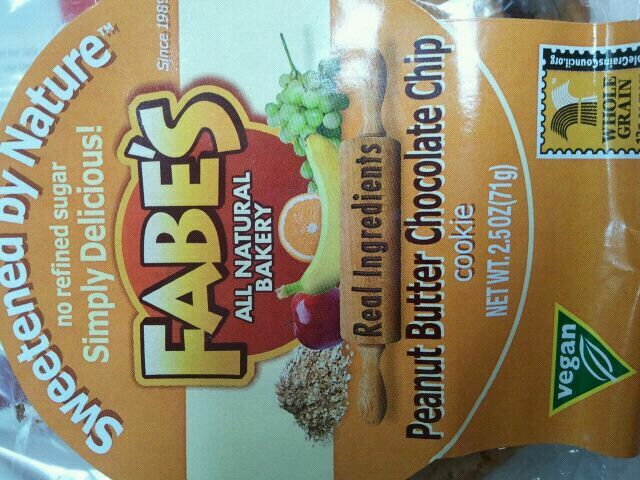 Also, this cookie has two servings, and it’s WAY too hard not to eat both. So delicious! Cranberries- are you a fan? I would say I’m on the fence. If they are sweet and dried, I like them. But if they are too tart, I could definitely do without them! I dont know about you, but those gooey chocolate chips pretty much won me over on the spot. The flavor was pretty good. Chewy and soft, with a mild peanut butter flavor, and pieces of nuts scattered throughout. 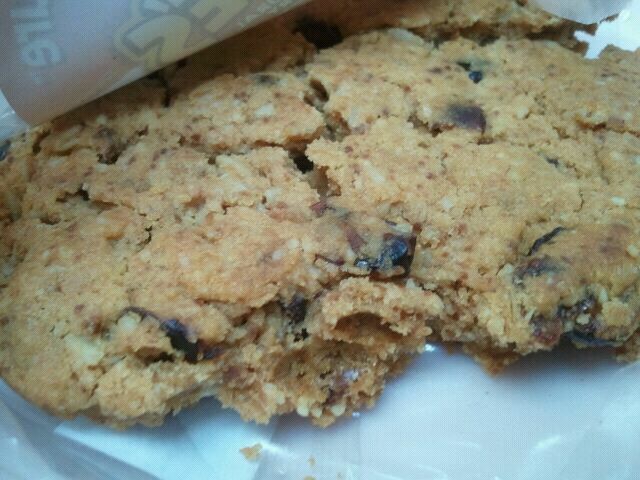 It was a very rich cookie, and sweet but certainly not overly sweet. In fact, the raging sweet tooth I have kind of wishes it was a bit sweeter. It kind of had the sweet and salty combination going on, especially when I bit into a chocolate chip. Which, by the way, receiving these cookies in the mail on a hot day was sort of like a gift. These tasted like they were fresh out of the oven. 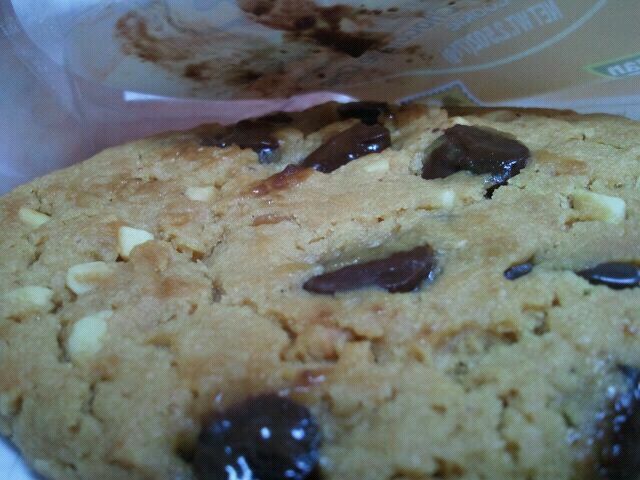 The chocolate chips were gooey, but definitely had a different taste than what I’m used to- being a milk chocolate chip. They kind of reminded me of the Enjoy Life Boom Choco Boom Non Dairy Rice Milk chocolate bar in terms of flavor. 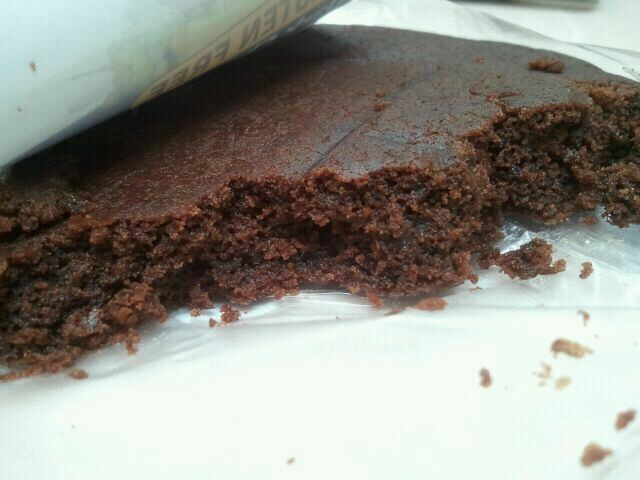 Had a chocolate-like taste, with a vanilla flavor as well. 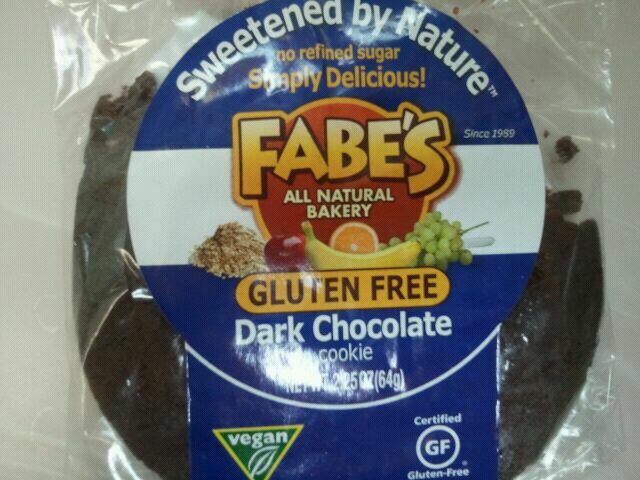 What’s your favorite vegan cookie or baked good?